Wardrobe malfunction or daring display? Meghan Markle pressed the flesh on the final afternoon of the royal tour — with her undies showing. IS THIS a wardrobe malfunction, or a deliberate daring display? 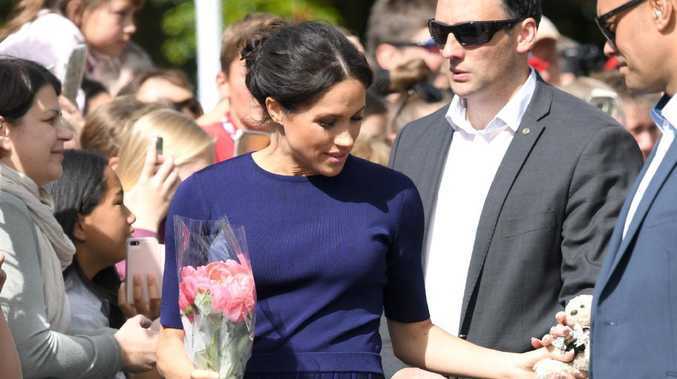 Meghan Markle has shown some flesh on the final afternoon of the royal tour - with her undies showing. Yep, you read that right. The Duchess met with crowds this afternoon in a stunning blue dress - that appeared to be quite see-through on the bottom half. Perhaps it didn't look quite so revealing in the mirror? Either way, there's no denying the Duchess looks stunning in Givenchy. After spending the day in Rotorua, they will fly back to London.